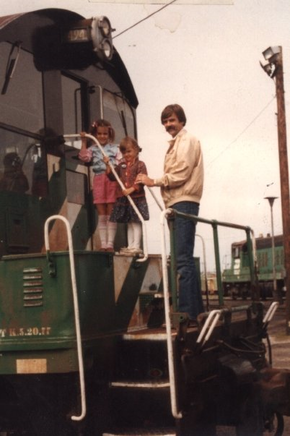 Current owner, Jessica Kramer, with sister, Allison, and father, Paul, inspecting a locomotive in 1982. ﻿Diesel Supply Co., Inc. is a family owned and operated business specializing in locomotive sales and parts since 1973. We are a service oriented company supplying our customers with competitively priced parts and prompt delivery. Diesel Supply Company is focused on providing high-quality service & customer satisfaction. We pride ourselves in going above and beyond in order to meet our customers needs and exceed their expectations. From finding particular products and parts or simply providing information, Diesel Supply is pleased to extend our services to help your company satisfy its individual locomotive requirements with personal customer service you won't find anywhere else.